This is the first mineral mascara I have ever tried and I must say I love it. I already love my Avon SuperExtend mascara (I cannot wear anything else to work any more) so I had high hopes for this new puppy. First off I must say the brush may look strange but works wonderfully. I love it more than I thought I would. It curves back with your lashes so you don't have to hunt after corner lashes to get them coated in mascara. Another thing about the brush that rocks is that it seems to hold just the right amount of mascara on it. I'm not wiping off excess or scraping for more. Because of this and the great shape I haven't had any clumping or need to brush out my lashes after using it. The formula is nice and creamy, just the way I like it. As I said not too much is on the wand. 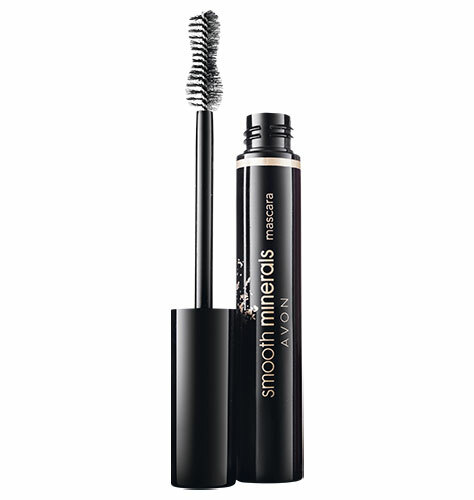 It leaves my lashes soft and in no way crunchy or stiff. I actually rubbed my eye and was really surprised at how soft my lashes felt. Really everything Avon seems to say about this mascara is true. Nice soft lashes, clump proof. Oh and my lashes look thick and long. I love this. I once again am very pleased with a mascara from avon. I love the wand, the formula and everything about this. I also feel better knowing something so close to my eyes is natural.